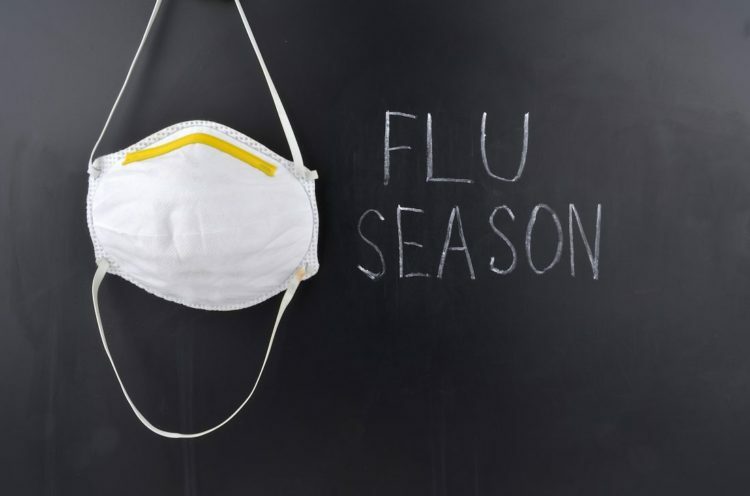 Avoiding the Flu: What You Can Do in Your Office - J. Zollo & Associates, Inc.
By now, everyone has heard that the United States is experiencing a flu epidemic. Seniors and young children are the most at risk, and as of January 20, 37 children and infants have died because of the flu. Schools are closing, hospitals are flooded with flu patients, and even Alabama has declared a public health emergency. This year’s flu season has been the most hectic for hospitals since 2009. Experts at the CDC are saying the flu has peaked late this year, and the season could run as late as May. This is all enough to scare anyone and tempt even the most rational of us to lock ourselves in our houses and bathe in antibacterial soap. However, life goes on and Americans find themselves heading to the office to continue with their work week. So, what can you do to help prevent the spread of cold and flu causing germs? First, everyone who is able should consider getting a flu shot. The vaccine is designed to protect people against three or four strains of the A and B viruses that will be the most common in a given year. Public health agencies have to estimate which strains will be the most common. This year, the H3N2 is in circulation, and its especially difficult to prevent with the flu shot. However, experts have found that the vaccine effectiveness during H3N2 seasons was 33%, meaning getting vaccinated reduced one’s risk of having to go to the doctor by about a third. This of course is much better than nothing at all, and it’s not too late to get a flu shot. Your break areas should be cleaned frequently, not just once a year for spring cleaning. As an employer, you can make it easier for your employees to stay healthy. When it comes to hand sanitizer, it’s usually “out of sight, out of mind” so place hand sanitizer in your break room and other common areas. Remember to change out moist sponges and rags, which are a breeding ground for bacteria. According to Charles Gerba, microbiologist and co-author of “The Germ Freak’s Guide to Outwitting Colds and Flu, you can microwave your sponge for 30 seconds to disinfect. If you take public transportation to work, remember to wash your hands before checking your emails or messages. Elevator buttons and stairwell railings are also common culprits. No one will applaud you for showing up to work and spreading germs, no matter the deadlines you’re facing. Avoid being the office pariah and rest at home until you feel better. Everyone should do their part to avoid spreading flu causing germs. Don’t forget the basics, such as common hand washing and covering your coughs and sneezes!